Obituary for Lawrence D. Melore | Shore Point Funeral Home and Cremation Services, Inc.
Lawrence D. Melore, 89, of Hazlet, New Jersey, passed away peacefully surrounded by his loving family at Anchor Care Rehabilitation Center, on April 13, 2019. Lawrence was born on January 1, 1930 in Stratford, Connecticut. He resided most of his life in Brooklyn, New York before moving to Staten Island, New York in 1966. After retirement, Lawrence moved to Florida in 1984, before settling in Hazlet, New Jersey in 2015. 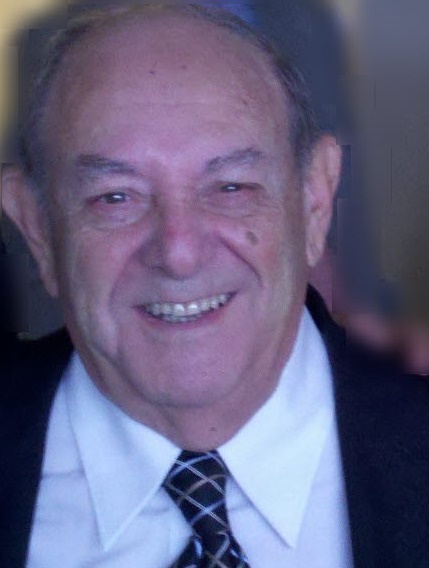 Lawrence was a retired Insurance Manager for St. Paul Insurance Company, Iselin, New Jersey. He was also a proud United States Army Veteran. He was predeceased by his parents, Beniamino and Maria (Donzella) Meloro, and his beloved wife, Marie T. Melore. Lawrence is survived by his loving children, Joanne Insinga and her husband, John of South Carolina, Michael Melore and his wife, Ann of Middletown, New Jersey, his cherished grandchildren, James Insinga and his wife, Christina, Janice Heilman and her husband, William, Michael Melore, Alex Marie Melore and Jacquelyn Melore, along with his treasured great-grandchildren Marie and William Heilman. Lawrence will be greatly missed, but never forgotten. Family and friends are invited to visit on Thursday, April 18, 2019 from 4:00 PM to 6:00 PM at the Shore Point Funeral Home and Cremation Services, Inc., 3269 State Highway/Route 35 North, Hazlet, New Jersey 07730. A prayer service will be offered at the funeral home at approximately 5:30 PM. In respect of Lawrence’s wishes he will be privately cremated. For information, directions, or to send condolences to the family, please visit, www.shorepointfh.com.